This 2.16 acre lot is part of a retail commercial and flex subdivision of lots on Monocacy Boulevard. The adjacent Riverside Corporate Park~s tenants include the Wells Fargo Home Mortgage, Aldi, Charles River Laboratories, the NCI, and Frederick Brickworks among others. Signalized access is planned. 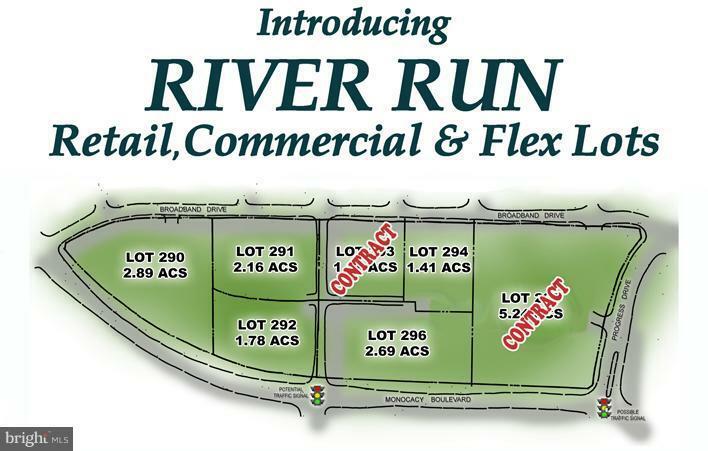 River Run is located near a variety of national restaurants and retail stores.